“I got a Samsung galaxy s6 from my friend, and I thought to factory reset that and reboot the system. My Factory reset was successful and immediately I started reboot(I don’t know anything about that, I did as my friend said). After that it restarted and stuck. It just flashing SAMSUNG logo. Even I tried to remove battery and restart it but it is same no change. Am unable to do factory reset also again or anything else as nothing is working other than that flashing. Such a case is really common among Samsung Galaxy customers, therefore, it is no use just worrying about your phone that is stuck on startup, and we suggest that first of all, you get to know why are Samsung Galaxy devices frozen on startup screen, then find a solution to recover files from your frozen or startup Samsung Devices. 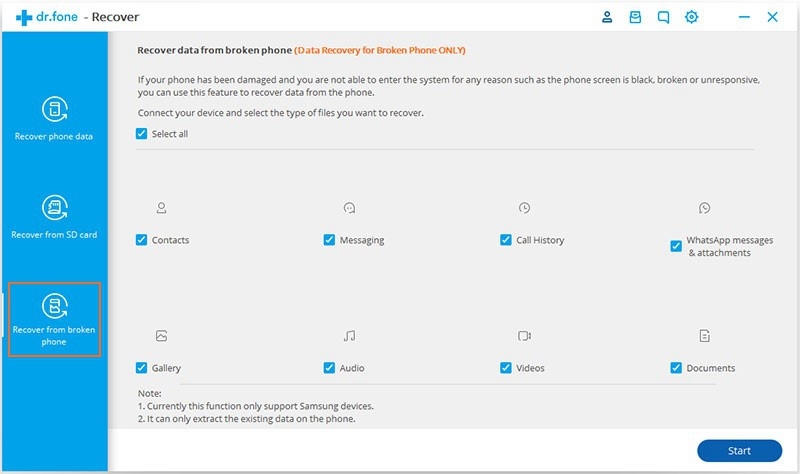 Part 2: How to Recover Data from a Samsung Galaxy Stuck on Startup? 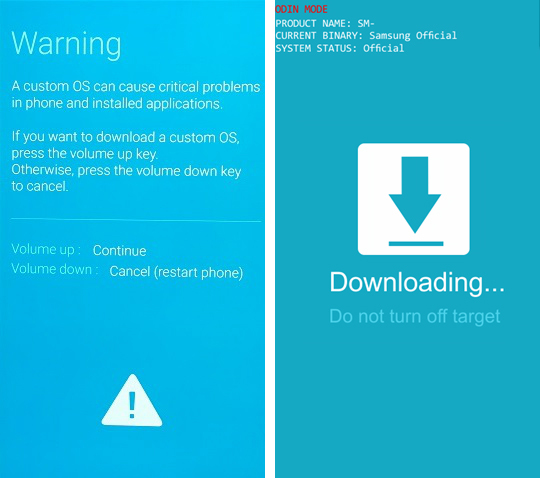 1.You have installed some unofficial third part apps into your Samsung phone that prevent it from having normal booting. 2.Some malicious software and viruses may have encroached upon your phone. 3.Possibly the most primary cause of this problem is that the operating system used is a corrupted one. This is why so many people have the same bother after flashing a new ROM. Next, you should first retrieve data from the frozen device and then try to fix the brick by doing factory resetting in Recovery Mode. Let’s see how to accomplish it perfectly with the assistance of a powerful data recovery software—Android Data Extraction. You will no longer feel helpless while attempting to regain files such as photos, messages, WhatsApp data and contacts trapped in a Samsung Galaxy that is out of control, for Android Data Extraction is going to help you out! Please follow the specific instruction below to finish recovery. 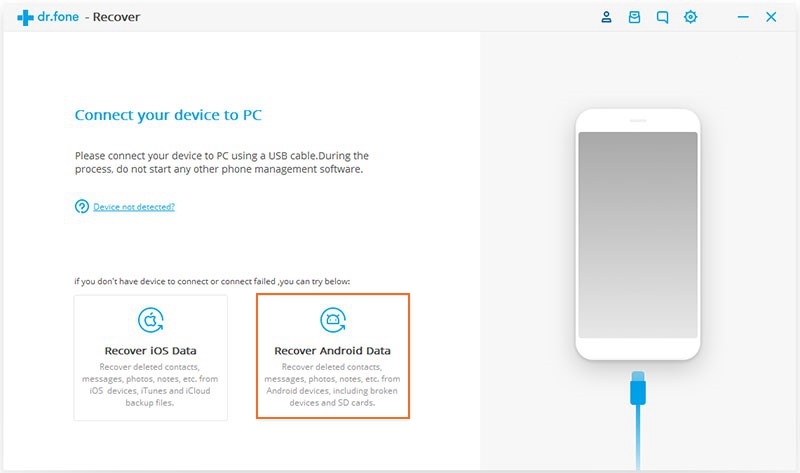 Step 1: Of the options you see on the toolkit screen, simply select “Recover” and connect your phone to PC. Next select “Recover Android data” to go on. Step 2: Click on the “Recover from broken phone” option present on the left side. The software will select all the data type by default, you can tick on the special data type you want and click Start to begin scanning. Step 3: Choose “1. 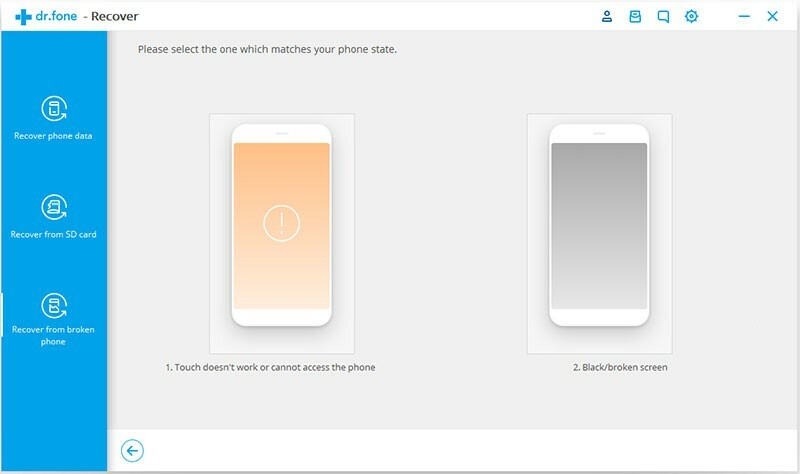 Touch doesn’t work or cannot access the phone” while your phone is frozen in startup screen, then click the “Next” button to continue. 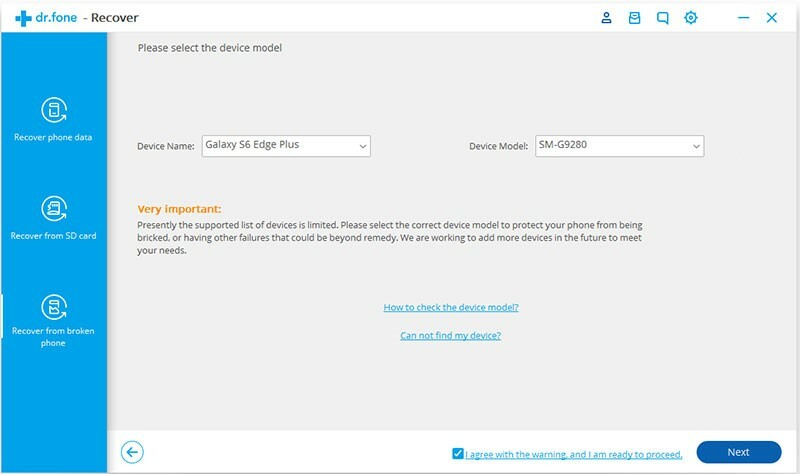 Step 4: In the next screen please pick out the correct device name and model carefully, you can click on the highlighted sentence “How to check the device model” to find out your phone model. Then click on “Next” to continue. 1. Long press the power button until your device turns off. 2. Press and hold the Volume down + Home button + Power button to enter the Samsung Download Mode. 3. You will see the prompt that asks you press the Volume Up button to confirm Download Mode. Finally click on the “Start” button, the software will install a custom recovery for your Samsung phone automatically. Step 6: After finishing detection, the data recovery tool begins to scan your phone and download recovery package. 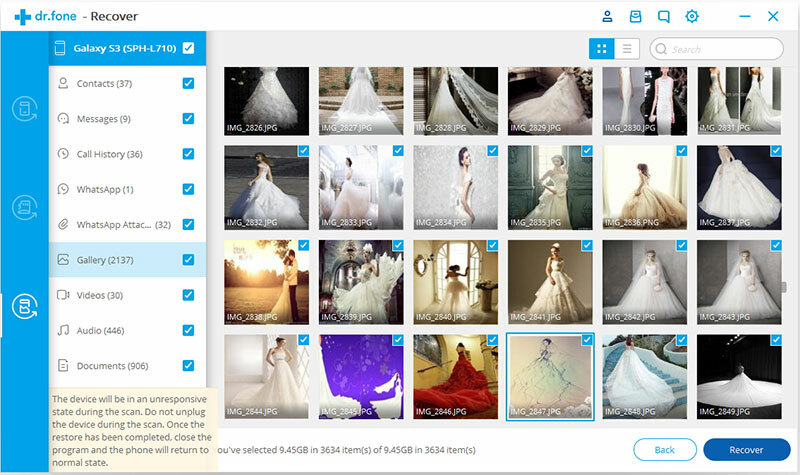 Please wait for a while, the software will show you a list of recovered data which you can click to preview. 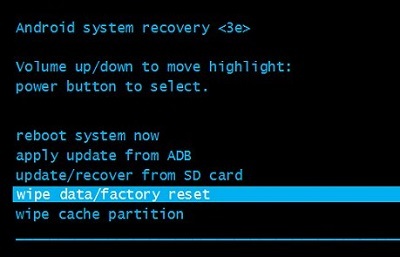 Now you can click the recover button in the lower right to recover your data. Remember this is not the final step that you can handle to deal with a frozen Samsung Galaxy, because generally speaking, you can sort of fix it by yourself after getting the significant data. 1.If your phone have a removable battery, take the battery out of the device for approximately 3 minutes and then you put it back. 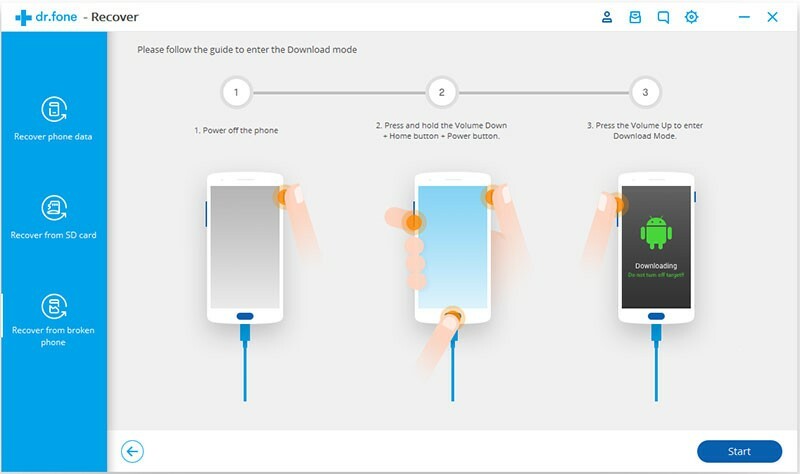 2.To boot your phone into Recovery Mode, pressing and holding Power, Home, and Volume Up buttons simultaneously until you see the Samsung logo and then the recovery menu appear on the screen. 3.Scroll down the list through Volume down button and use Power button to choose the “wipe data/factory reset” option and tap on “Yes” to efface all data from your device. 4.The final step is going back to the main menu and then select “reboot system not” to refresh your telephone. Done! Now you get a newborn Samsung Galaxy! All in all, we sincerely hope that the above mentioned method can help you recover your precious data and repair the frozen Samsung device. However, definitely you’d better think highly of doing regular Samsung data backup, which is quite fundamental but has been ignored by a lot of mobile phone users. Hope that you can always keep it in mind.